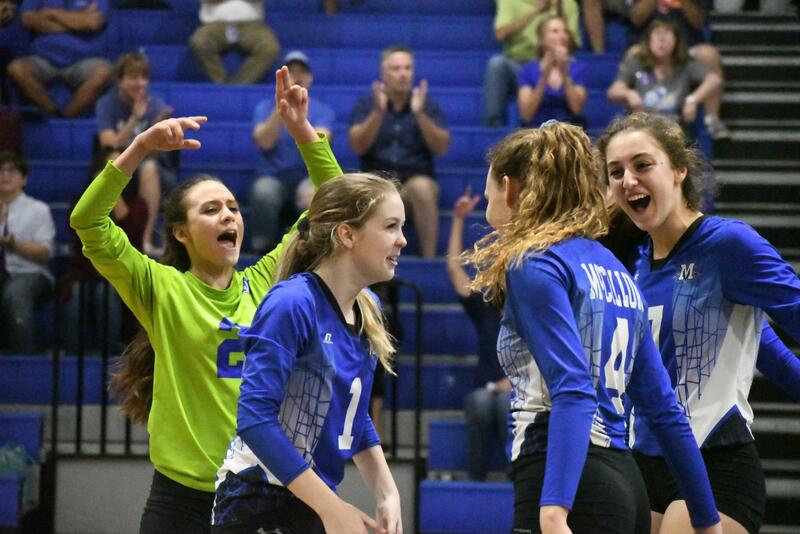 Senior Lindsey Wiley, sophomore Sophia Henderson and junior Liana Smoot celebrate a kill from junior Shaine Rozman. Photo by Bella Russo. It was going to be a long night. 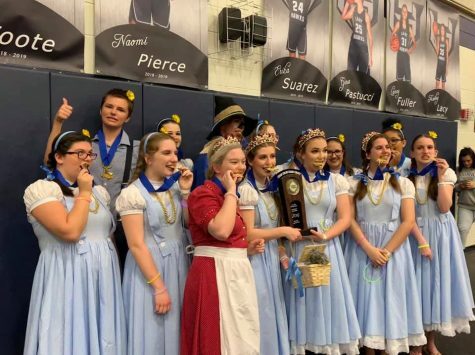 The entire gym, packed with enthusiastic fans donning purple and blue knew it. The parents, who found themselves on the edge of their seats before the two teams had even shook hands, knew it. 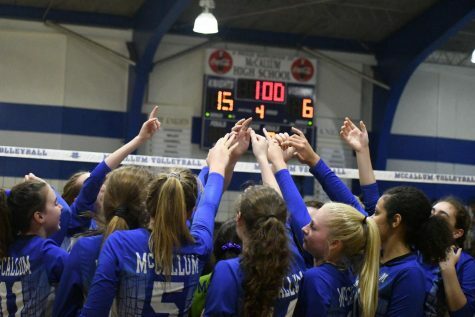 The volleyball teams and coaches of McCallum and LBJ sure knew it too. 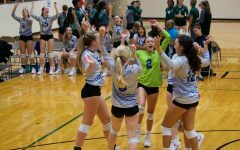 This summer, a streak of wins at the Jason Landers tournament pitted Mac against rivals LBJ in a tightly contested match before school had even started. After a hard fought game taken to the last possible set, the Varsity Volleyball team had claimed the victory for McCallum. 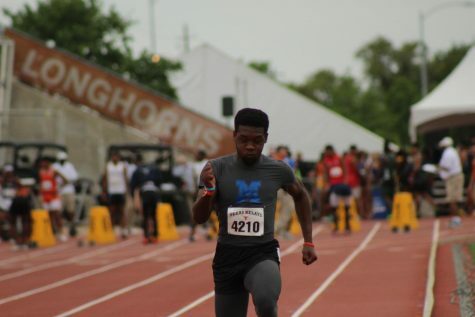 When the two teams faced off again last Friday, McCallum was able to win for a second time. In Friday’s rematch, the two teams played again under even higher stakes. Not only was it the first game of the district season, but the Knights had to defend their previous win and protect their home turf. Everyone was looking to prove themselves against LBJ once again, and even though the last game had been a success, the Knights knew this time still wouldn’t be easy. The first set proved the team right. 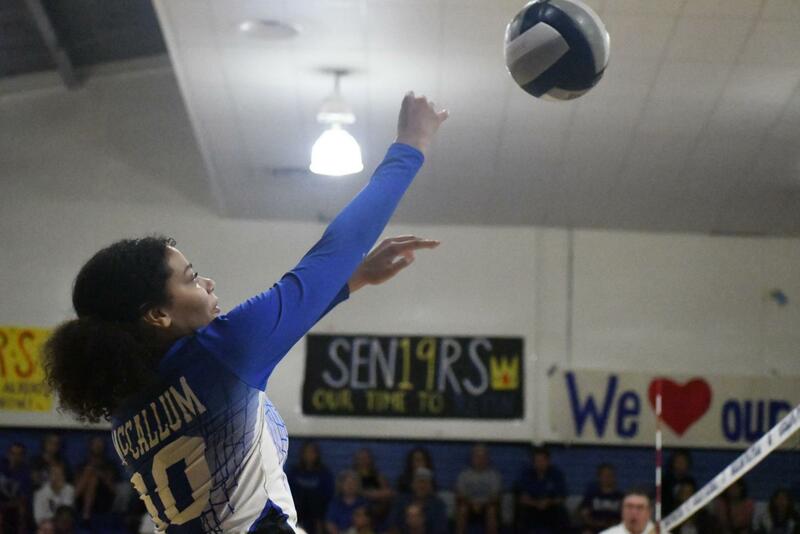 Both teams fought for points in a frantic back and forth that took the set past game point. LBJ eventually pulled ahead to win the game by two, leaving the first set lost 30-28 to LBJ. Despite the loss of the first set, the varsity picked it up during the second and third sets, winning both 25-18 and 24-16. 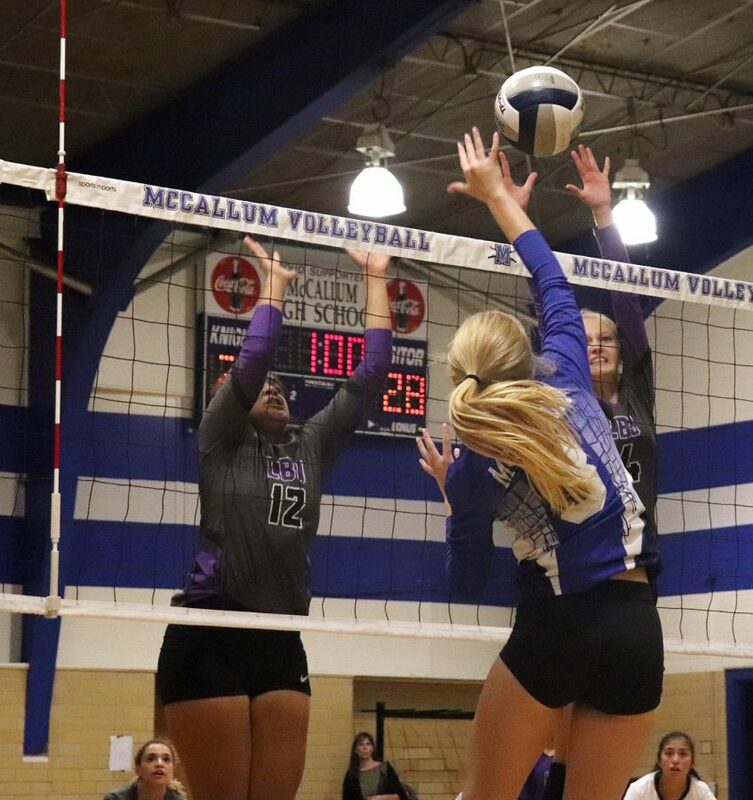 All McCallum needed to do was win the fourth set to defeat the Jaguars for the second time this season, but LBJ wasn’t going down without a fight. 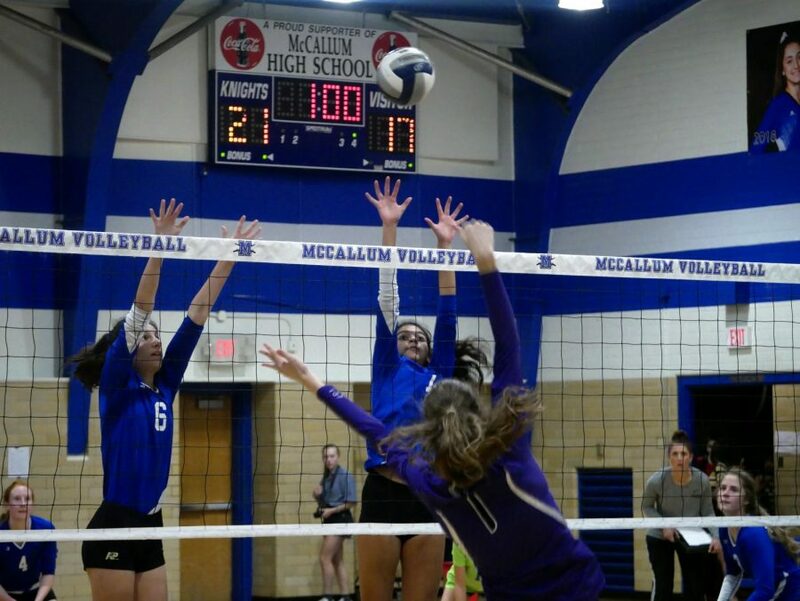 The fourth set went LBJ’s way, but not before McCallum stormed back from an 11-point deficit early on to make it close. The set ended with a second set win from LBJ 25-20, which would forced the match into a tie-breaking fifth set. 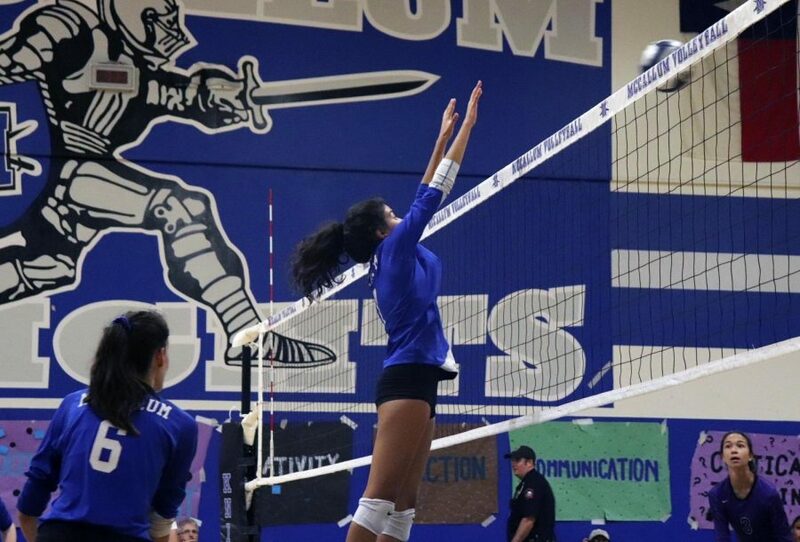 One more set to go, the outcome still in doubt, yet the varsity volleyball team was already proud of its game. 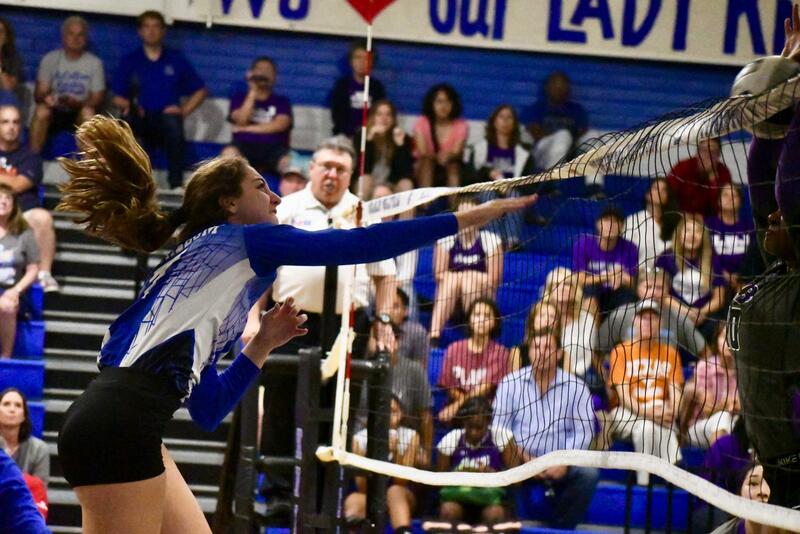 The varsity entered the last set in commanding fashion and were able to crush LBJ 15-6, ending the night with a second come-from-behind victory over their rivals and a 1-0 start to the district season. The varsity team breaks down their huddle after winning the fifth set against LBJ 15-6. “Great job, I love you all, we’re 1-0 in district, lets go get ’em!” Coach Brodbeck said to her team to end the game. Photo by Bella Russo. 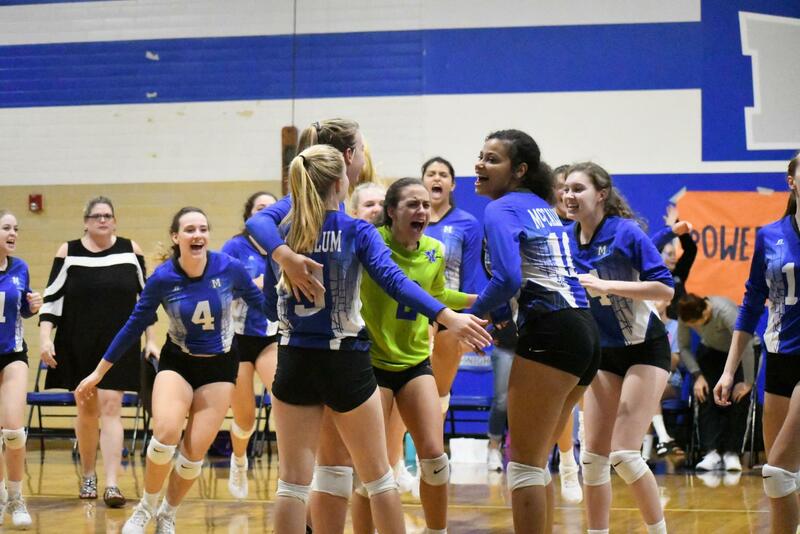 For Coach Brodbeck, the highlight of the night was her team’s tenacity and technical strength, even when the Knights were behind. When the varsity team came together for the last huddle of the night, the gym was still abuzz with energy. The varsity team weren’t the only ones to defeat LBJ on Friday as all three subvarsity team’s all defeated the Jaguars: a four-on-the-floor perfect sweep for the night. The junior varsity, much like the varsity, got off to a rough start. 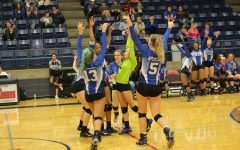 After losing the first set 25-19, the team was able to recover to dominate the last two, 25-19 and 25-15, to win the match, 2-1. A gym over, the freshman A team also beat LBJ, 2-1, winning the first set, 25-17, losing the second, 21-25, and brawling it out in the third to win, 25-20. 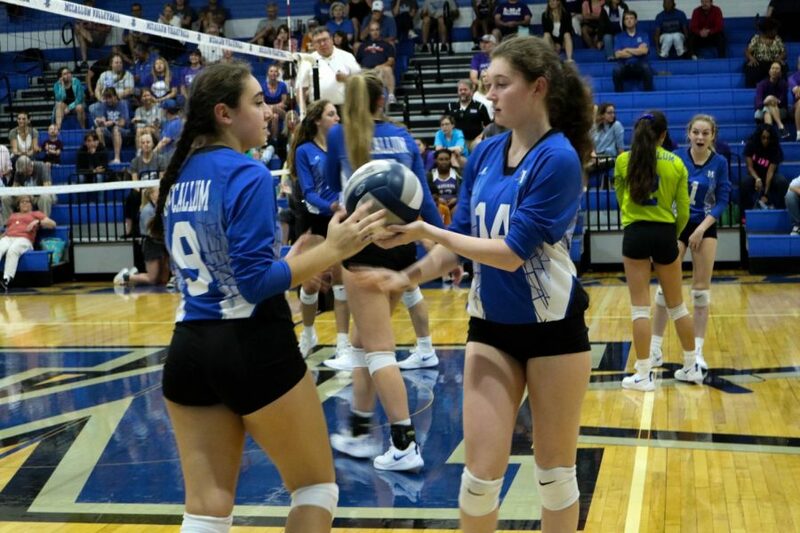 The freshman B team not only beat one of McCallum’s biggest district rivals, but also won its first game of the season, and accomplished all of this in straight sets. “I was so excited to finally win a game, and I’m proud of all my teammates in tonight’s game.” freshman Audrey Racine said. Even though the team is still savoring their victory four days later, Varsity head coach Brodbeck still feels that there is a lot more work to be done before the Knights move on to play the rest of the teams in the district. 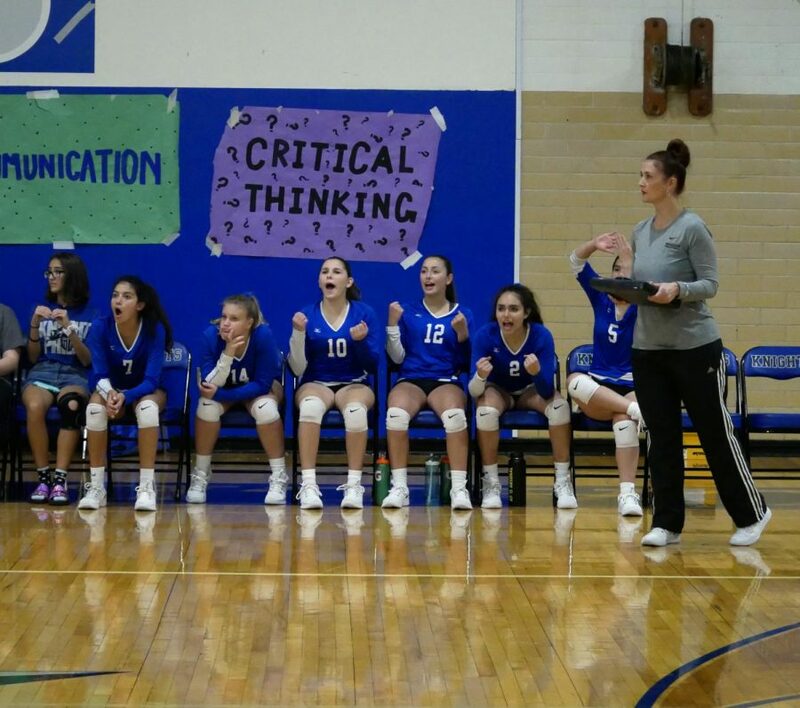 Coach Northcutt and the JV bench react to good news on the court during the team's 2-1 defeat of arch-rival LBJ on Friday in the large gym. During the first game of the season, the JV volleyball team trailed LBJ 1-0 after losing the first set, 25-19. 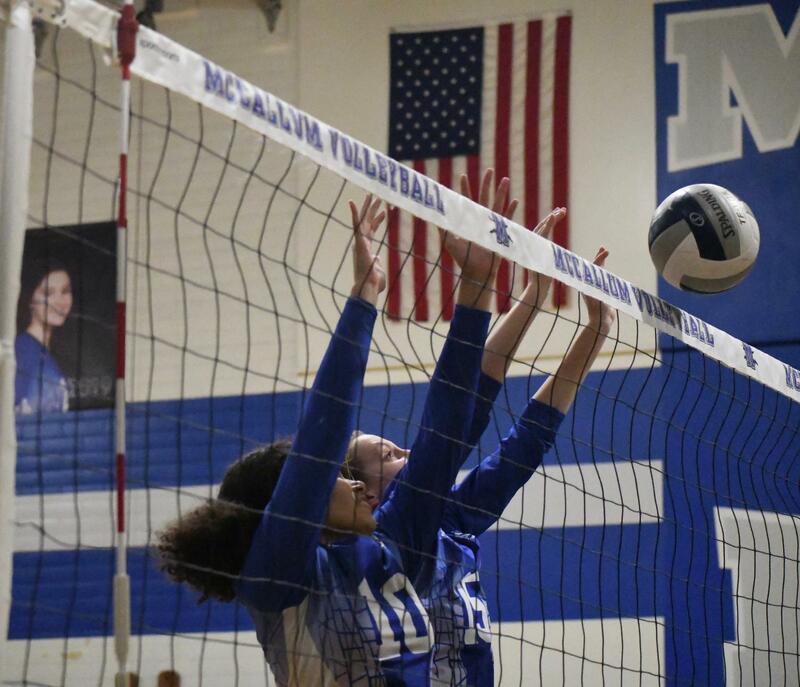 McCallum then came back to win the second set, 25-19, then went on to win the match with the final set score of 25-15. “I was thinking we just gotta take it one point at a time,” sophomore Gabby Montes said. “After one point onto the next, and then the next.” Photo by Winston Pham. 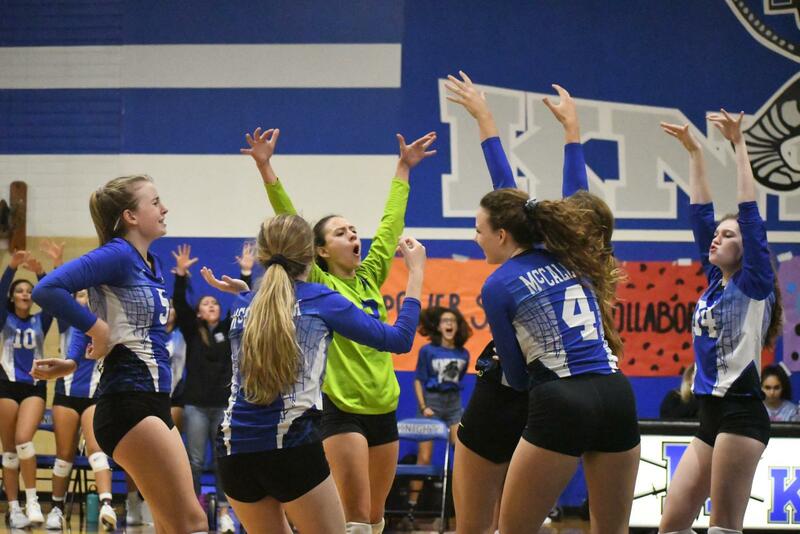 The varsity team celebrates a successful block against LBJ's strong offense. Photo by Bella Russo. JV libero Sophomore Kai Hall passes the ball. Photo by Bella Russo. Juniors Alexis Fanning and Georgia Harrington jump up to block against LBJ's strong defense. Photo by Bella Russo. Sophomore Samantha Wilson runs to pass the ball before it can reach the ground during the JV game. Photo by Bella Russo. Junior Shane Rozman attacks against LBJs defense. Photo by Bella Russo. 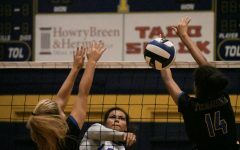 Junior Alexis Fanning spikes the ball against LBJ. Photo by Bella Russo. 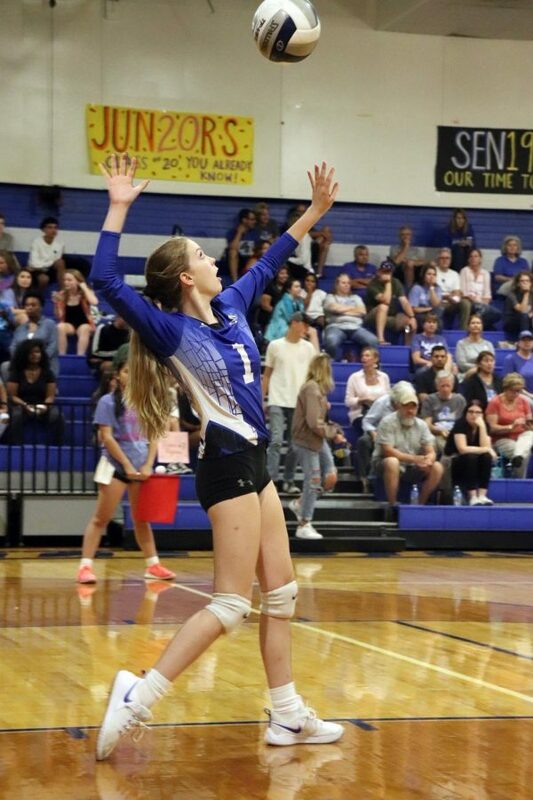 Sophomore Sophia Henderson starts the varsity game against LBJ on Friday with her serve. Photo by Gabbi Sherwood. 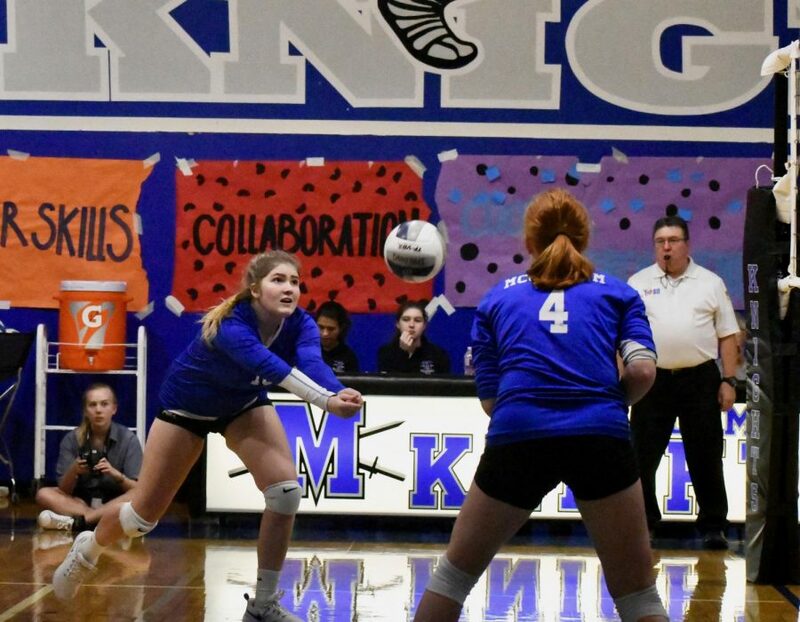 Senior Claire Caudill spikes the ball from the outside position to score a point for the Knights. Photo by Gabby Sherwood. 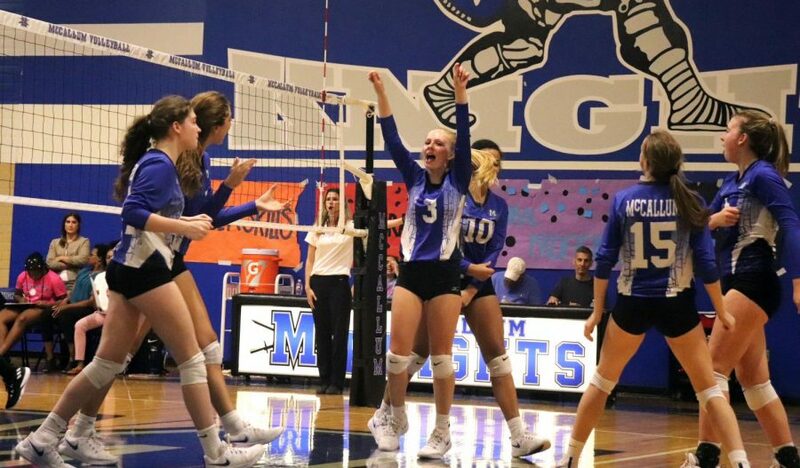 Surrounded by her teammates, senior Claire Caudill celebrates after the Knights scored a point during their match against the LBJ Jaguars on Friday in the large gym. 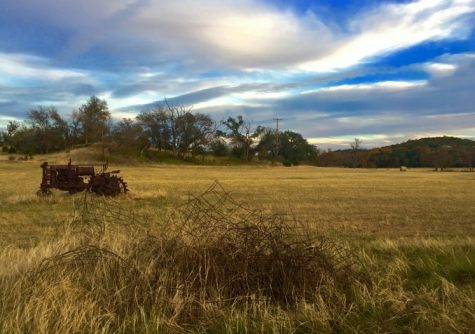 Photo by Gabby Sherwood. 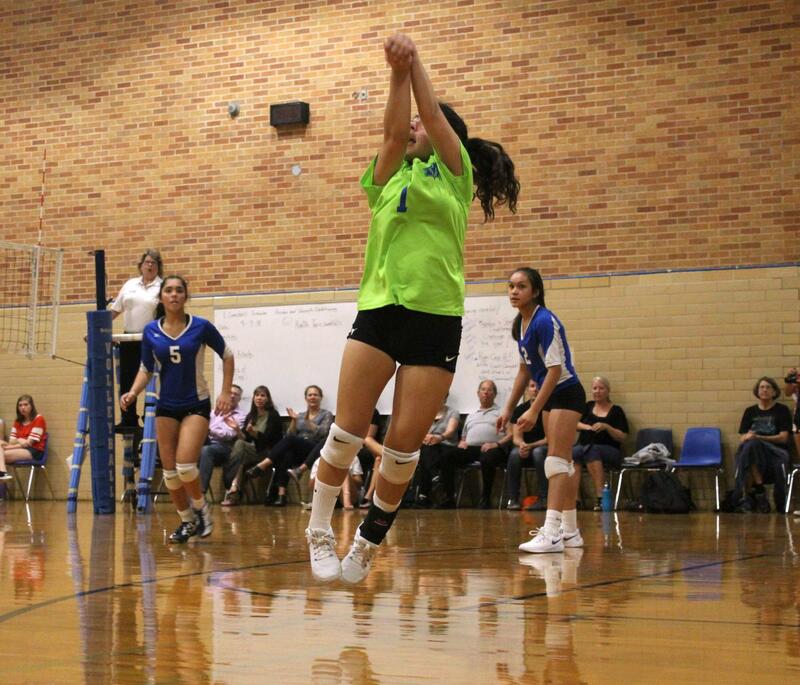 Sophomore Sophia Olivares jumps up to block the ball during the JV team's victory over LBJ on Friday in the large gym. Photo by Gabby Sherwood. 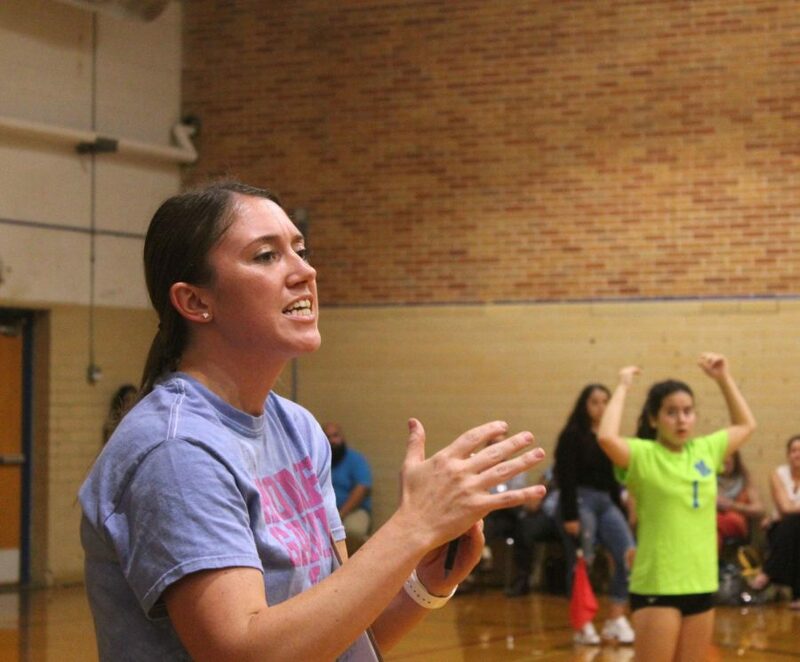 Freshman A team coach, Coach Kehn, asks the ref for a timeout during the third set of her team's home match against the LBJ Jaguars on Friday. Photo by Ale Luera. 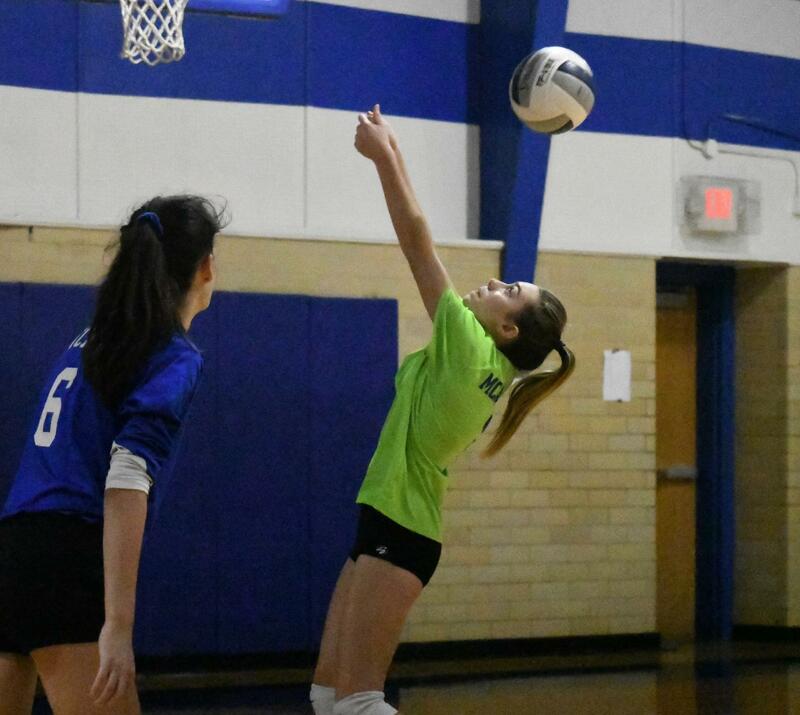 Jenevie Anderson extends to keep a point in play during the freshman A team's 2-1 victory in the small gym on Friday. MAC earned a 2-1 victory by set scores of 25-17, 21-25, and 25-20. "We were communicating a lot better than we usually do and being more aggressive," Anderson said. 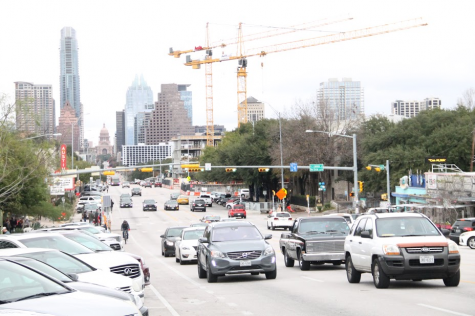 "Those were two of the things we have been working on for a while, and I think that our work paid off." Photo by Ale Luera. 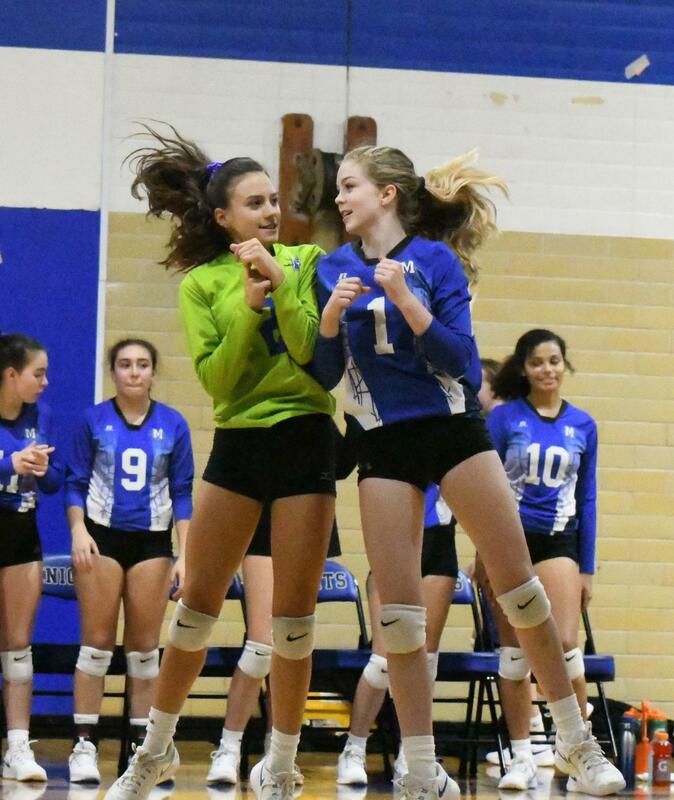 Sydney Nabhan and Sophia Olivares jump to make a wall to prevent an LBJ spike attempt during the JV's 2-1 victory over the arch-rival Jags. In the district opener at home, the JV volleyball team lost the first set, 25-19. The Knights then turned the tables by winning the second set, 25-19. They then carried the momentum into the third set where they sealed the win with a score of 25-15. Photo by Winston Pham. VOLLEYBALL VICTORY The Freshman A team beat LBJ last friday at a home game in a 2-1 match. They started off the game winning the first set 25-17 and then came short 4 points in the second set, 21-25. They worked hard to win the last set 25-20 to take home another win for the Knights. 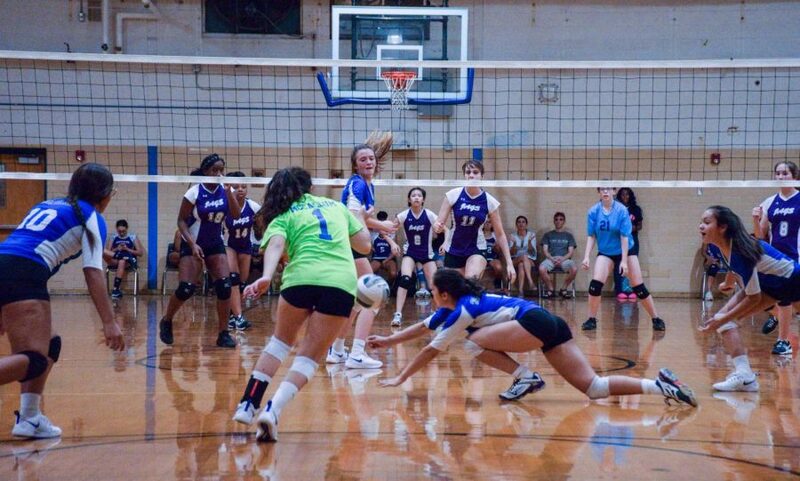 Jaz Mahr (freshman) pictured diving to save the ball and preventing LBJ from scoring a point, described the moment by saying “I just knew I had to try my hardest to save it. When we won it was a big relief because we worked really hard and I think we all deserved it.” Photo by Maeve Walsh. Audrey Racine and Willa Rogers of the freshman B shake hands with their LBJ opponents prior to the team's straigh-set victory over the Jags in the small gym. The freshman B team won its first game of the season on Friday. "I was so excited to finally win a game, and I'm proud of all my teammates in tonights game," Racine said. Photo by Ale Luera. The freshman B team not only earned their first win of the season against LBJ last Friday, they did so in straight sets. 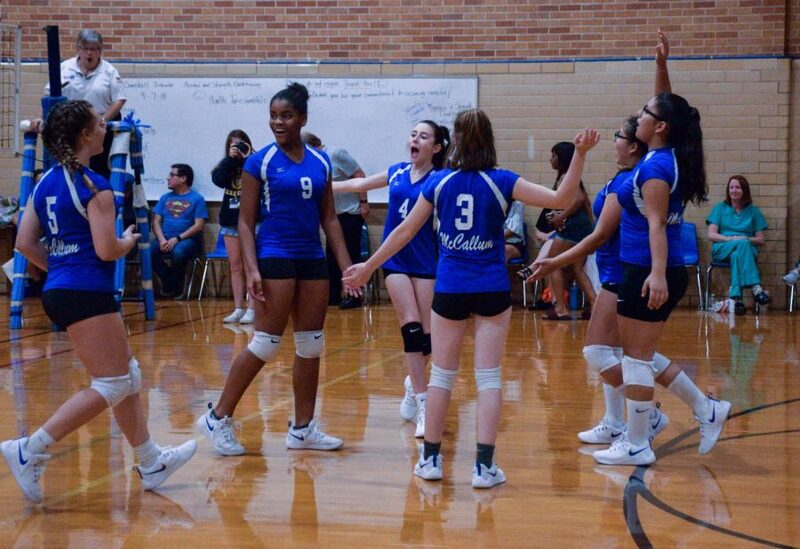 B team pictured cheering after scoring a point against LBJ. 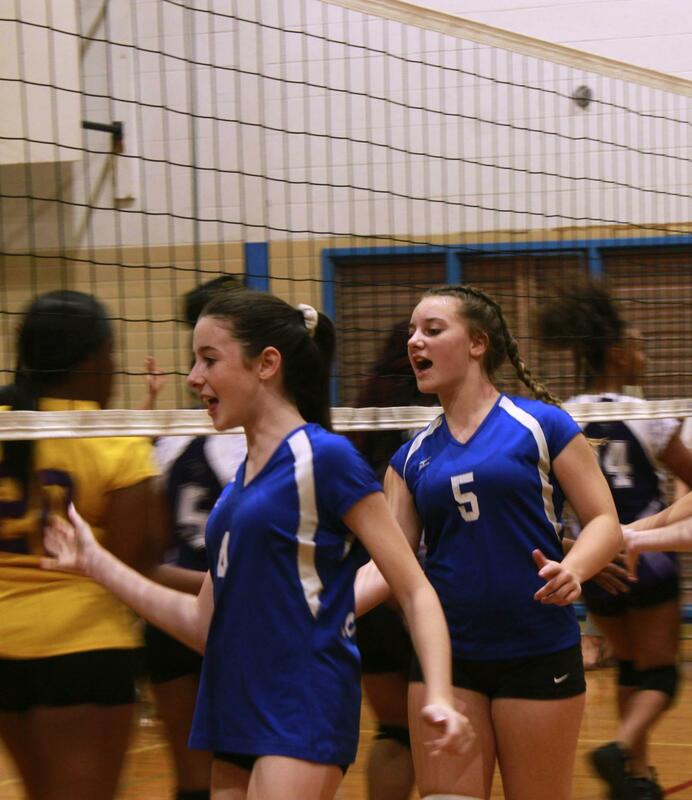 “I was so excited to finally win a game, and I’m proud of all my teammates”, freshman Audrey Racine (#4) said. “It feels great to win our first game, and it makes me so happy when my team scores a point” Jayla Butler added (#9,freshman). They started off the game strong with winning 25-12 in the first set and ended the game even stronger with 25-8 in the second set. 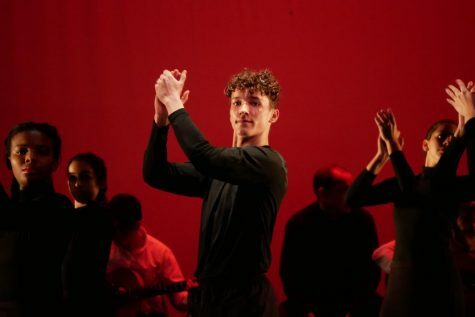 Photo by Maeve Walsh. 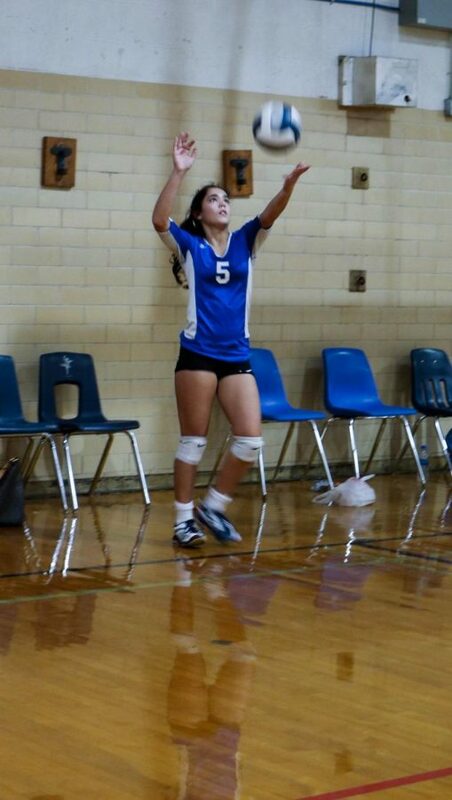 Jaz Mahr, shown here serving, helped push the freshman A volleyball team to the big win vs. LBJ on Friday. She communicated with her teammates and went for the big shot. 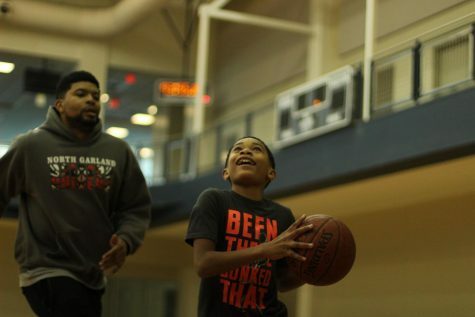 "On the court it felt like an adrenaline rush. I was really hyped up for the game. [When we were tied at 1], I was a little worried about what would happen but I still had hope." 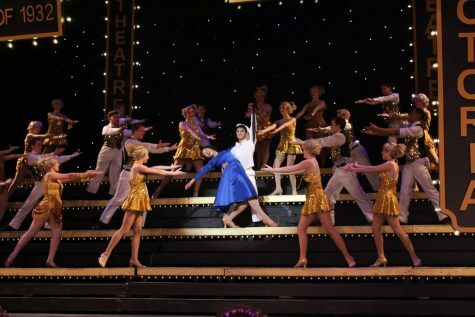 Photo by Lily Dashner. 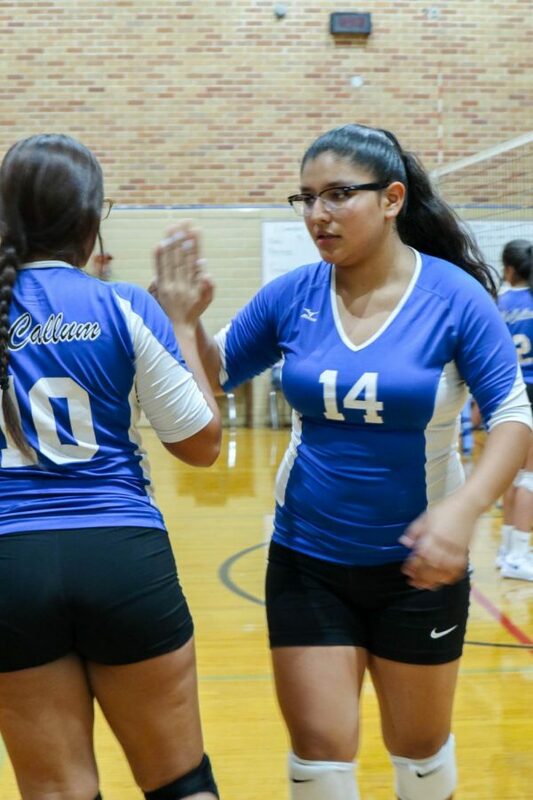 Daisy Elizondo and Selena De Jesus Levya high 5 during freshman A team's 2-1 win over LBJ on Friday. "We were close to giving up, but we didn't. We fought through cause we knew that we could do it, and we never gave up. It felt amazing to win. We could as a team communicate more, and get better at moving out feet. We took the 'w' as a team." Photo by Lily Dashner. Varsity teammates Senior Lindsey Wiley and sophomore Sophia Henderson bump shoulders to get each other pumped up for the game ahead. Photo by Bella Russo. Varsity volleyball team member Junior Carter Cordes hands the ball to team member Sophomore Brienna Martinez to start the next set against LBJ on Friday in the large gym. Photo by Lily Dashner. 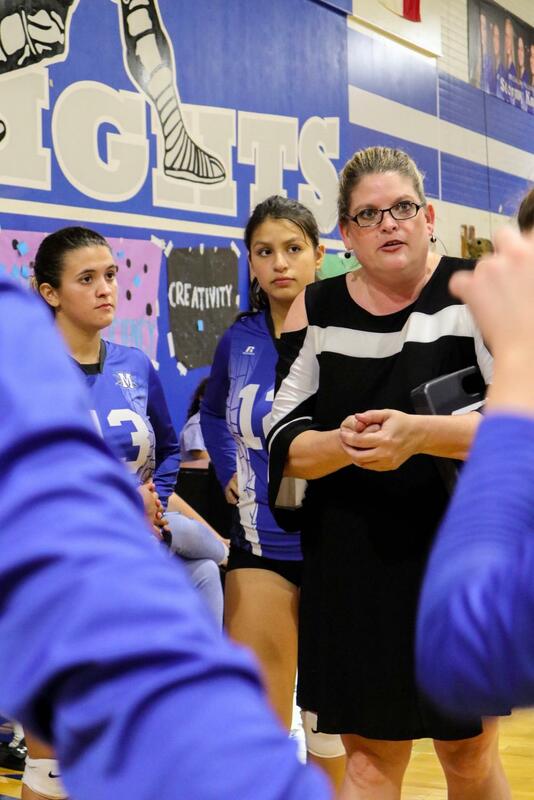 Coach Amy Brodbeck gives her team motivation and feedback before their next set against LBJ. 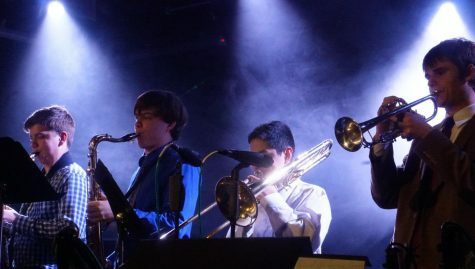 Photo by Lily Dashner. The varsity volleyball team storms the court in celebration of a hard-fought point. Photo by Bella Russo. I really like how the girls work together as one. They have a goal and work toward it, and make the dream happen. All the girls give each other respect and make the dream happen as one. Keep going! Rock on!